Over the past 17 years we have been sharing our lives with 3 Eurasiers. 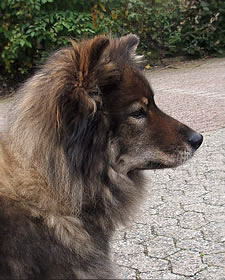 Our first dog was a male who, after 4 years, was joined by one of his daughters (now 13 ½ years). After our first dog died in an accident we opted for another male (now 12 years). 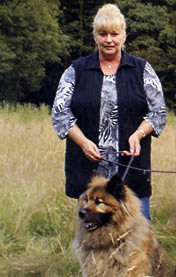 For many years, I have been working for another Eurasier-Club in various capacities: on information stands at dog shows and as puppy agent. These made me well acquainted with the questions, requests and wishes of people interested in our breed. I would like to share these experiences about puppies with others. I am happy to give tips, help and/or exchange ideas. Each puppy is an individual who is worthy of all our efforts. Let us tackle it together! Best wishes, yours Vera Grote.